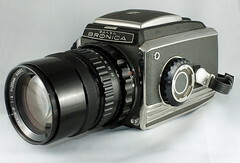 The Bronica C is a 6×6 format focal plane shutter SLR introduced by Bronica in 1964. It is a more simplified system that does not use an interchangeable film back. Mid-roll changes are not possible, but film insert magazines can still be used to speed film loading. 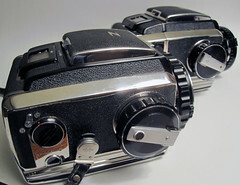 There are two different Bronica C models. The first one was available for only a short time and is more uncommon. It was primary based on the Bronica S and was not compatible with 220 film and had a maximum shutter speed of 1/500 of a second. Multiple exposure can be set by the dial above the film counter. This model also introduced the removable helical focusing mount. An improved model was released a year later in 1965. 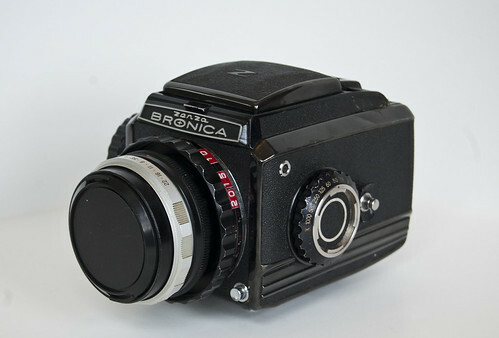 It is nearly identical, sharing the same model name Bronica C; but is often called Bronica C2. 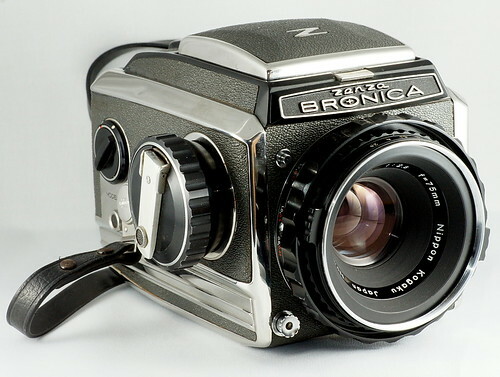 It has some of the mechanical improvement of the Bronica S2 released months later. 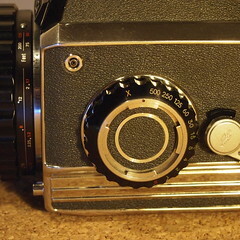 In addition it has a lever to select from 120 or 220 film. Some of the shutter speed dials are marked at 1/500 of a sec. while others marked at 1/1000. The 1/500 ones support an unmarked 1/1000 of a sec. This page was last edited on 5 May 2014, at 13:35.